The Escambia County School District recently broke ground on a new elementary school as part of a multi-year plan to stay ahead of population growth in central Escambia County. 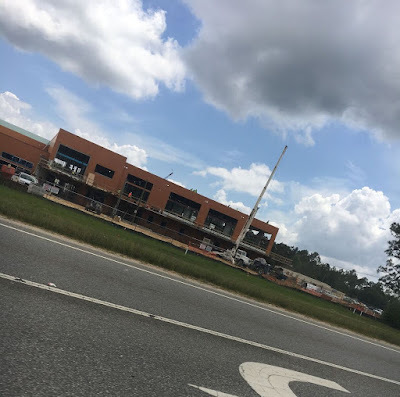 Construction is underway at a new middle school, Beulah Middle School, on West Nine Mile Road just west of Beulah Road near Navy Federal Credit Union in Pensacola, Florida. The facilities are funded by a voter-approved half-cent sales tax. The schools are set to open their doors at the start of the 2018-19 school year, and their openings will launch a chain reaction of movement and expansion among roughly a half dozen other schools within the district.